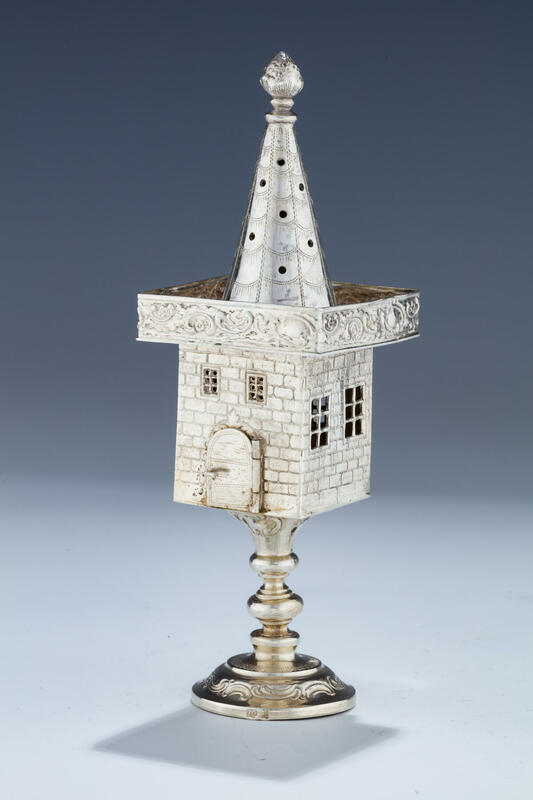 A SILVER SPICE TOWER. Germany, c. 1890. On round base with castle shaped upper portion. Marked. 7.3” tall.